I’m far from alone in asserting that Steve Jobs was an inspiration to many entrepreneurs and CEOs of all ages. For many of us, his contrarian thought process, rigorous attention to detail, and spectacular showmanship formed a model for how to innovate, run a business, and find new customers. I tracked Jobs’ career during my college and law school days and went so far as to email him a couple of times to thank him for the inspiration that he provided to me. 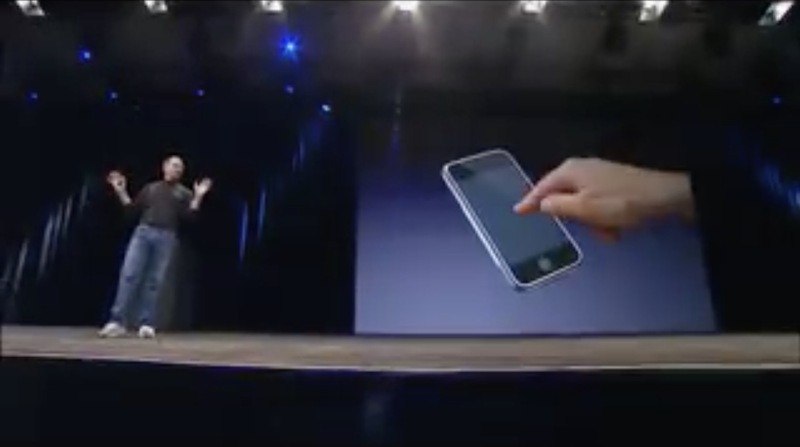 Over the years, his 2007 speech introducing the iPhone served as a model for me. It showed me how to make a presentation that is both informative and inviting. I’ve written about that here. Later, when I was preparing to deliver a commencement speech, I used his 2005 Stanford commencement talk as an example. Steve Jobs’ presentations were admired by many. But not as many people have looked behind his presentations to understand that level of preparation that was involved in each presentation. Every product launch was brilliantly performed. Every move, demo, image and slide was in sync and beautifully choreographed. If I sound like I'm describing a Broadway show, you're right. A Steve Jobs presentation had more in common with an award-winning theatrical performance than a typical product launch. Apple still uses the time-tested formula including the final secret ingredient: Jobs rehearsed relentlessly. Carmine Gallo, the author of this article, pointed out that Jobs’ presentations looked effortless precisely because he put so much effort into them. These ideas are totally in keeping with the conclusions that I have reached in three decades of observing trial lawyers. I’ve heard far too many first-chair trial lawyers claim that the reason they didn’t practice their opening statement relentlessly was because it wouldn’t appear spontaneous if they did. Quite the contrary; the openings that I have heard that appeared the most spontaneous were precisely the ones that were the most thoroughly rehearsed. Apparently, Steve Jobs shared that approach. His grueling hours of practice became legendary in the tech industry. The Inc. article, in analyzing the desirable amount of practice time, concluded that the ideal is the 20-20 rule, which means that for a 20-minute presentation, one should go through the whole thing at least 20 times. This is consistent with the conclusions that I’ve reached about trial practice. We like to use a rule that a 60-minute opening should be practiced for at least 30 hours. We all want to look relaxed, confident and conversational in making our presentations. That is a good instinct because that style is in fact persuasive, but the way to get there is not with last-minute cramming, an opening statement practiced privately in a hotel room with no one listening, or an off-the-cuff talk relying on a few bullet points. The best openings I’ve ever seen are the result of countless hours of practice — often done in one-to-one sessions with an A2L litigation consultant. As is the case with any presenter, practice is what separates good trial lawyers from great trial lawyers. You might say, great trial lawyers just “think different” when it comes to practice.